​Chelsea are looking at potential replacements for Eden Hazard should the Belgian leave London, with Watford's Roberto Pereyra reportedly a surprise top target for the Blues. Chelsea are said to be keen to replace Hazard quickly if the wide player joins Real Madrid in the near future, and the Blues apparently drawing up a shortlist of options that could fill the void. Watford's Argentinian forward Roberto Pereyra is at the top of the list, according to reports from the ​Express. Pereyra is the Hornets' top scorer this season with five goals from 11 games - already matching the five goals he scored all last season. The Argentine joined from Juventus in 2016 following an impressive stint at La Vecchia Signora. 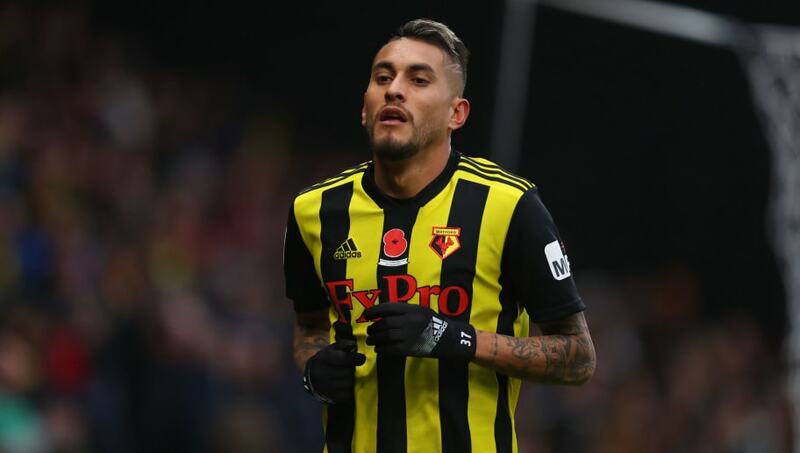 The Argentine is said to be brought to the Premier League to develop as a player at Watford, before the owners could then cash in on their investment. Hazard is under contract at Chelsea until 2020, with eight goals and four assists in all competitions this season and is seen as an indispensable member of Maurizio Sarri's side. The Chelsea manager has revealed he hasn't pushed the board to deliver new faces, insisting he wants to improve his current crop of players instead of bringing in new ones. 🏆 | Don't forget to vote for @tucupereyra37's strike at Wolves in the @carling Goal of the Month competition before midnight tonight! "I didn't ask anything about it to my club at the moment because at the moment I think we can stay with these players and be competitive. "I have to think I only have to help these players to improve. It is too easy to go into the market for every problem. I think we need to improve and we need to improve with these players because they can improve"